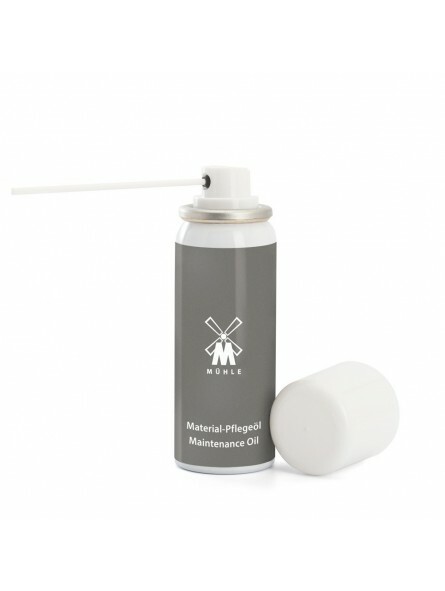 Mühle Maintenance Oil 50ml protects the blades from corrosion. This oil keeps the mechanics and the screw thread in the razor perfectly greased making use easy and extending the lifespan of the razor. 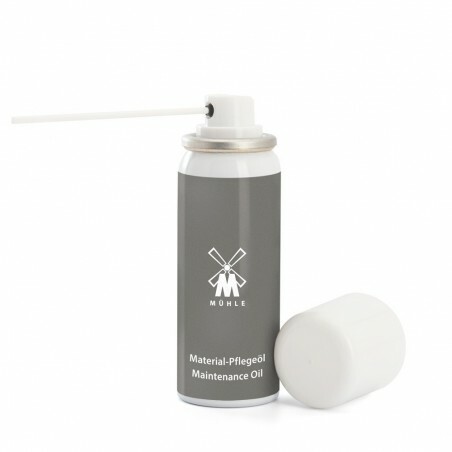 It is indicated for maintaining handles made from materials such as wood and horn. It can be used on straight razors and even the leather used on hanging strops. It will leave them soft and elastic. The attachable straw allows the most inaccessible parts of the razor to be reached and applies just the right amount resulting very economical. Clean off the residue with a soft cloth.